Make a statement in chic print with this shift dress from Anita Dongre. Made from good quality fabric, it will provide you with immense comfort throughout the day. 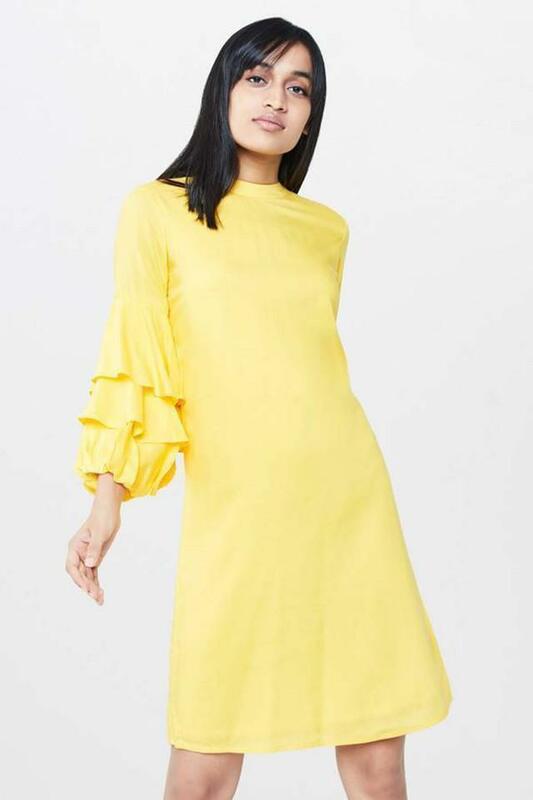 Featuring a high neck and solid pattern, this trumpet sleeves shift dress holds a superlative charisma. 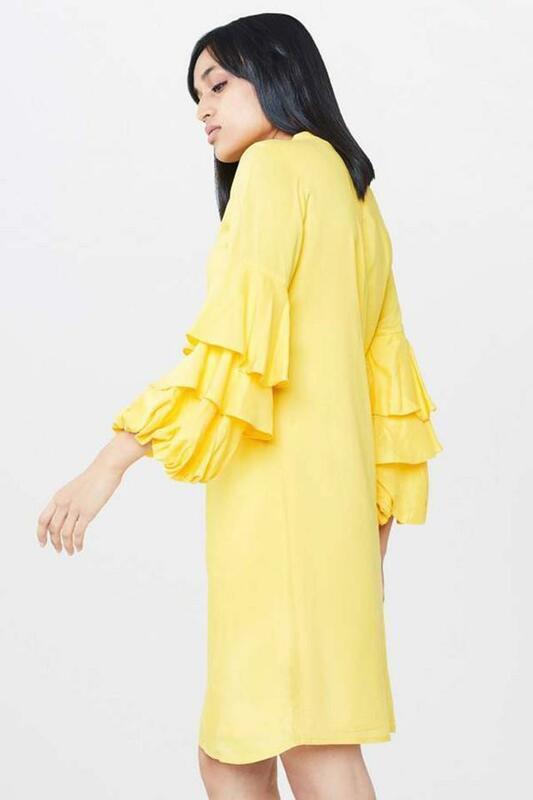 Fix yourself a suave look with this shift dress. Team this dress with a pair of matching strappy sandals for a cool casual look.